The upcoming Sonic Boom games land on the 3DS and Wii U on November 11 and 18, respectively. The upcoming Sonic Boom games land on the 3DS and Wii U on November 11 and 18, respectively. 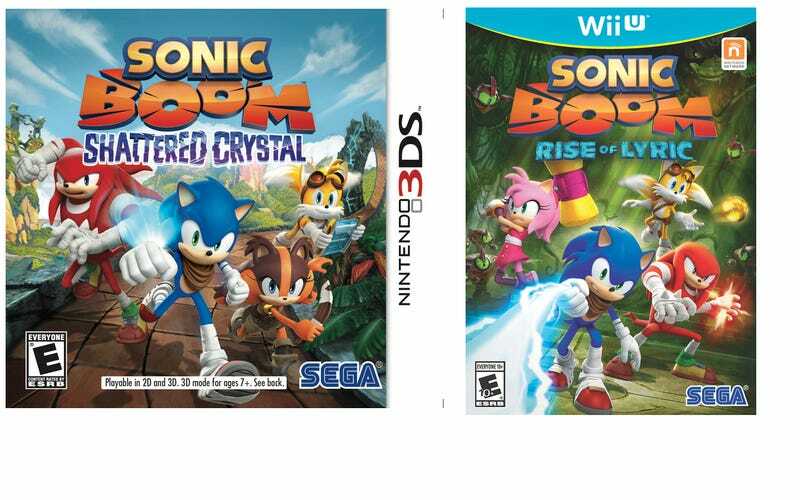 The playable parts of Sega's new-look re-imagination of their super-fast mascot have different names: Sonic Boom: Rise of Lyric for the Nintendo home console and Sonic Boom: Shattered Crystal for the handheld.